UPDATE ON MY HAIR REMOVAL JOURNEY! Firstly, thanks for all of your comments on the first installment of my journey to hair free skin – it’s great to know it’s not just me that despises having to shave everyday! If you missed that post, you can catch up here. 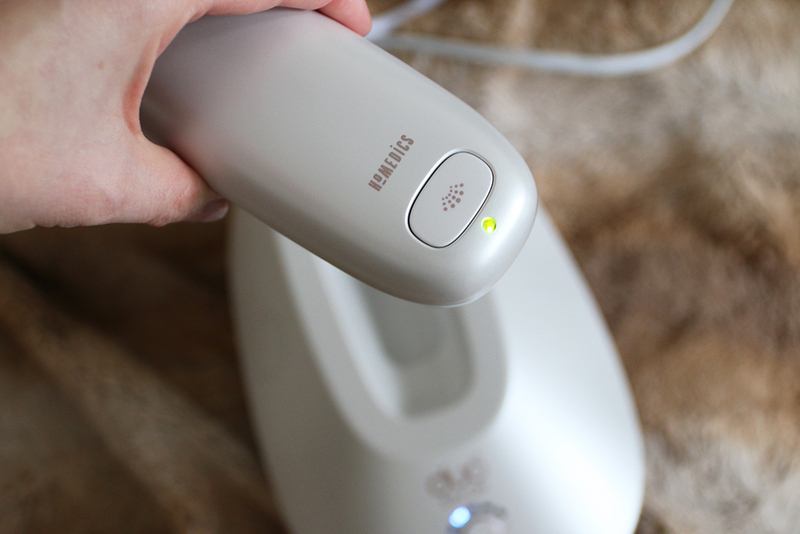 I decided to embark on a 2 month journey to permanently remove unwanted body hair at home, using the HoMedics Duo Salon and now I am half way through my 8 week trial period, I’m excited to update you on the results so far! Now I’m sure you’re wondering if this is painful at all, and in reality, it probably should be as it works by generating heat light pulses which travel down to the root of each hair, killing the follicle. 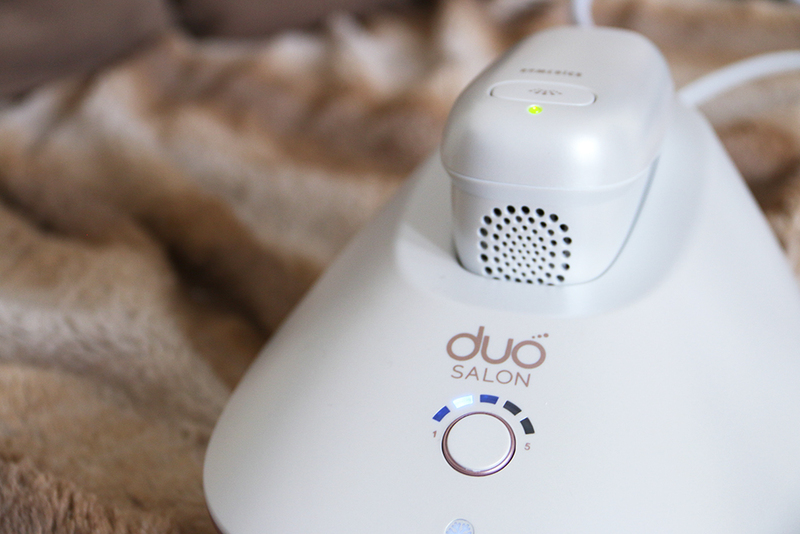 BUT, the Duo Salon has Active Cooling Technology which ensures your skin remains cool after each pulse. I’ve personally found that the higher the setting for a long time, you can sometimes feel a little bit of heat in sensitive areas (underarms and ankles) – so to combat this I’ve simply turned it to a lower setting, or taken a 2 minute break to let the glass window cool down properly. The Duo Salon also has a freeglide mode which delivers two flashes per second, meaning you can treat your whole body in just 20 minutes (perfect for someone like me with a busy lifestyle), making it one of the fastest IPL devices with salon grade appliance but for at home use. Now, the Duo-Salon is quite an investment, retailing at £549, it works out to be very cost effective (no more paying for waxes, new razors and salon treatments) as well as being a great solution for long-term hair removal. You do need to use this regularly to see the best results because each hair follicle has it’s own growth cycle, but that’s an easy commitment rather than having to shave every day! 4) Press the pulse button and move onto the next section! * There are 5 different settings for different hair types and skin tones – but for reference, I use setting 4 or 5 on my legs and 3 on my underarms and bikini line. 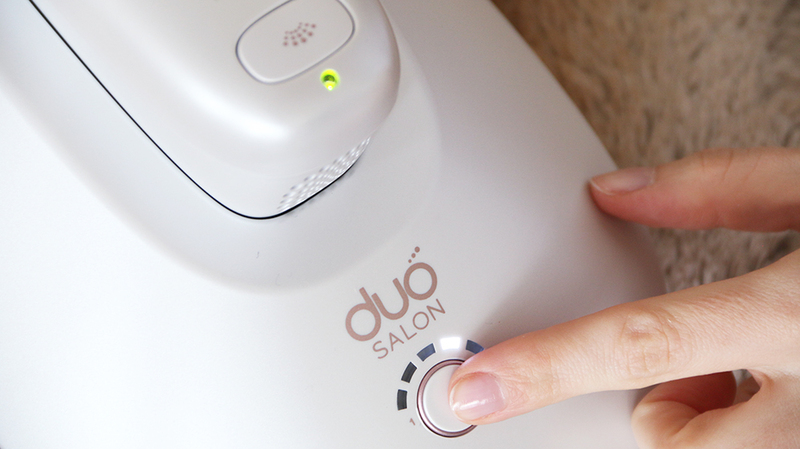 For best results, you need to use Duo Salon once a fortnight. I’ve used it twice so far and I’m surprised to already see some results! Now, I’m not going to post a picture of my hairy legs here (I’ll save your eyes! ), but there are obvious patches on my legs where hair growth isn’t as prominent anymore! I haven’t shaved for 3 days (don’t blame me, it’s due to pure laziness) but I can definitely see a difference in the length of the hair that’s grown and the sparseness of hair patches! I can’t even imagine what the results are going to be like after another two treatments! I’ll be back in one month for my final results. I’m going on a girly weekend to Barcelona with my bestie and I’m hoping I’ll be able to leave my razor at home and enjoy my hair-free body without worry! Would you use an at home IPL device for hair removal? * This post contains paid for advertorial, but all thoughts are honest as usual!